Height: 6' 4" Weight:275 lbs. Background: Why he is significant in New Orleans Saints history? : Johnson was an outstanding player, a disruptive force for the Saints. A first round pick (13th overall) in 1994, Johnson made his mark quickly, starting 14 games as a rookie. 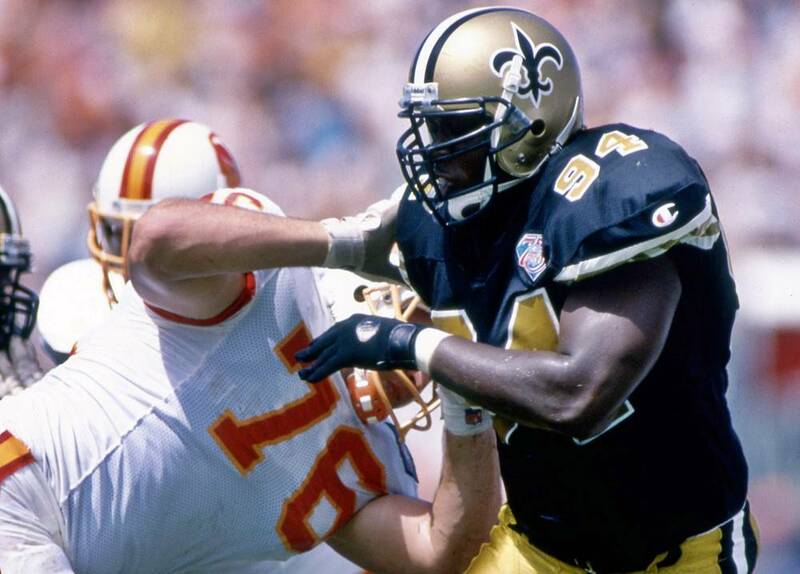 Johnson went from 5.5 sacks in 1995 to 7.5 in 1996 to 8.5 in 1997, when it was obvious that he was becoming a top-shelf player at defensive end while giving the Saints a bookend presence with Wayne Martin on the other side. In 1998, Johnson posted a career high 70 tackles with 7.5 sacks but he missed the entire 1999 season with a severe knee injury that left his career in doubt. While the doubters were plentiful, Johnson was not one of them. He bounced back with a banner season in 2000, recording a career best 12 sacks, forcing two fumbles and recovering three others, playing a huge role in the Saints winning the NFC South and capturing their first-ever playoff victory, upending the defending Super Bowl champion St. Louis Rams. He finished his career in New Orleans in 2001, posting nine sacks. With the Saints, Johnson recovered eight fumbles while forcing 13. He played in 106 games, was in on 384 tackles and had 50.5 sacks, sixth best in franchise history. He returned one fumble for a score. Greatest Moment: It was at Charlotte on Nov. 12, 2000. Johnson was a wrecking crew. He was in on six tackles and sacked Beuerlein three times and the Saints won their sixth straight game, 20-10, to improve to 7-3. 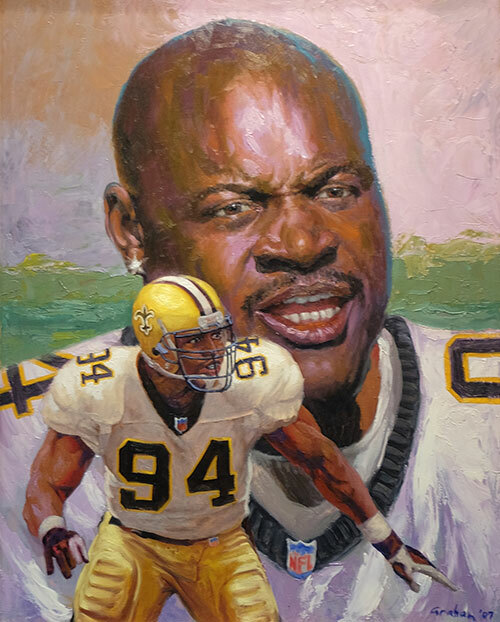 Honors: Johnson was inducted into the Saints Hall of Fame in 2007. He was named first team All-Pro in 2000, when he was also named NFL Comeback Player of the Year. Johnson earned Pro Bowl honors in 1998 and 2000.